Today has been a huge day for Apple. The announcement of the iPhone 5S and iPhone 5C certainly has given much joy to all you Apple aficionados out there. But as always, the news doesn't stop there. 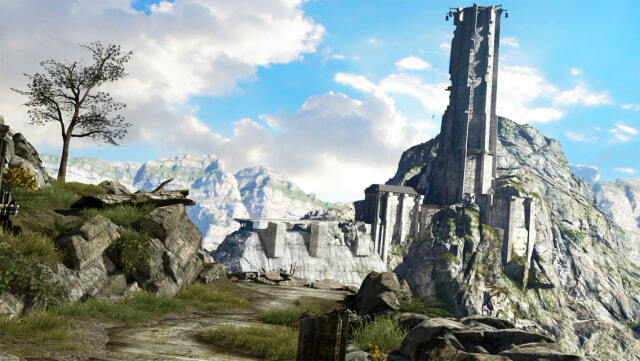 Epic games have announced that Infinity Blade 3 will launch alongside the two new iDevices, as well as iOS 7. This will be the third and final installment in the flick-and-slash saga. Infinity Blade 3 will allow you to play as the main protagonist, Siris or his duel-sword wielding partner, Isla. You'll be able to explore the large variety of new and old locations, battle diverse and cunning enemies with a number of new weapons and gear, and complete challenges throughout the world. The story will continue where the game left off in Infinity Blade 2, as you quest to stop the Worker of Secrets, the game's prime antihero, from completing his dastardly plans. Not much is known after that point, but more details will likely surface soon. If you are planning on buying the new iPhone 5S, you'll be pleased to know that the new A7 processor and 64-bit chip will have Infinity Blade 3 running at its peak, giving you "lens flares that would make J.J. Abrams proud," as stated by Epic. Infinity Blade 3 will be released on September 18th for $6.99 in the App Store. I for one can't wait to get my hands on this. It looks incredible and will probably dwarf the previous two game in graphics and gameplay. What are your thoughts? Be sure to let me know in the comments below.